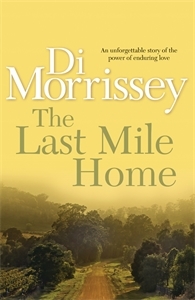 The Last Mile Home is an unforgettable story of the power of enduring love from Australia's favourite storyteller with new novel Arcadia out now. It is 1953 in a small Australian country town, a time of post-war prosperity and hope. The Holtens are wealthy, yet austere, graziers who have lived on the land for generations. The McBrides are a large and loving shearer's family who are new arrivals to the district. When the McBrides eldest daughter falls in love with the Holtens only son and heir, it seems impossible that they can have a future together. As conflict and tragedy confront them, it is only with great determination that their love can survive.